What's in this beautiful edition? 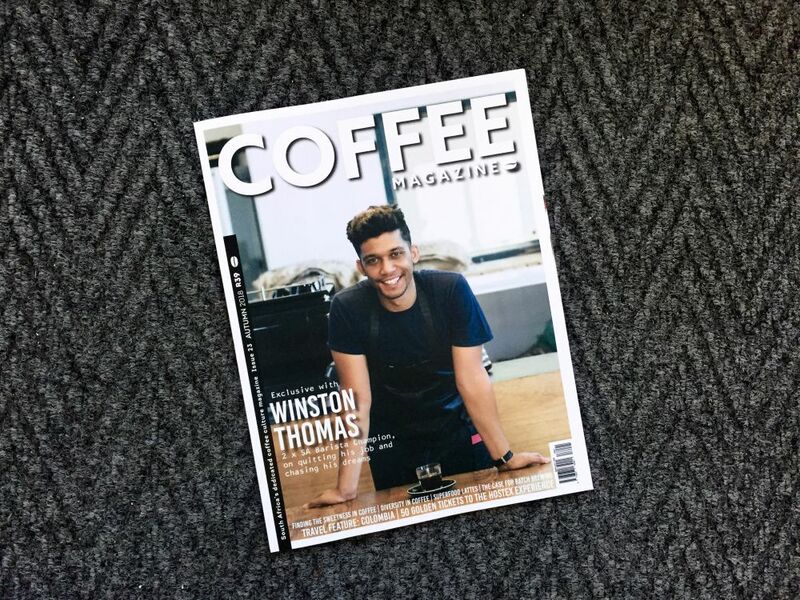 An exclusive with Winston Thomas, 2x SA Barista Champion on quitting his job and chasing his dreams. And what does that even mean for you the coffee drinker? We explore the concept of sweetness in coffee and chat to Anne Lunell of Koppi Roasters in Sweden. Be part of the solution with your morning pick-me-up by supporting coffee businesses that support diversity. Through waves of espresso coffee culture and alternative filter methods, it appears this humble machine is making a comeback. There is a strong connection between music and coffee and we couldn’t think of a better person to explore it than the legendary Lemuel Butler. Much of the world’s café history and market has been dominated by imported Italian coffee brands like Illy, Lavazza, Segafredo and Kimbo. Jazz Kuschke investigates. Coffee has long since made Colombia world famous, for all the right reasons. Meet the proudly South African company who’ve elbowed rooibos onto the global coffee scene and created a superfood in the process. An audience with two incredible mountaineers, Sibusiso Vilane and Nigel Vardy, who happen to really love their coffee.